Fired From Job Because Of Workplace Bullying? Fired from job because of workplace bullying? If that is the situation you find yourself in you can take heart in knowing that you are not alone. Often instances of workplace bullying will simply snowball until they ultimately lead to the firing of the victim. It may seem extremely unfair and your first inclination may be to fight it, but being fired from that job may actually be the best thing that could happen to you. That may sound a bit strange, but consider the facts. Workplace bullying, characterized as repeated actions intended to degrade, intimidate or humiliate an individual perpetrated by a co-worker, boss or other superior, takes place far more frequently than you might think. And in most cases, the victim will find that he has little recourse. Although most workplaces have anti-discrimination policies in place they may not cover all of the possible methods of bullying. Even if you do report your bully, there may be little your superiors can do. The result is that you are left to tolerate the bullying behavior until you ultimately either quit or are fired from job. In the meantime, the abusive environment can take a toll on you emotionally and even physically, leading to ulcers, high blood pressure and extreme levels of stress. 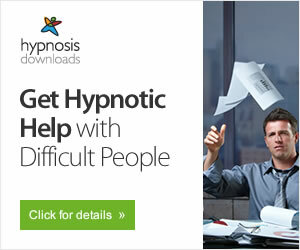 Unfortunately, the reason why most workplace bullying is difficult to challenge is because it is very hard to prove. More often than not, you'll find yourself in a "he said/she said" situation with your bully and most bullies are good enough at what they do that they can skirt any possible consequences. Which means the onus of proof will fall on your shoulders. While it may not seem like it at the time, getting fired from job at a toxic workplace may be the best thing that can happen. If you do end up getting fired from job, that doesn't do anything to mitigate your need to provide proof. In fact, if you want to try and fight back legally, the burden of proof on you will only be strengthened. Which doesn't mean you shouldn't try if you really feel you've been treated unjustly and are due some compensation. You can always take your employer to court and sue for some form of compensation. If you are able to prove your case, you may be lucky enough to get a legal judgment in your favor. But you need to remember that any legal case will involve a great deal of time and money, so it may end up costing you more to fight your case than you actually get in compensation. On the other hand, most companies are required to offer you some sort of severance even if you are fired from job. And if you tolerated the bullying for any length of time before being fired, the company can use that as proof that the harassment never occurred or wasn't as bad as you claim it to be, all of which can undercut your case. In which case, fighting the firing may be more costly than just accepting the consequences. 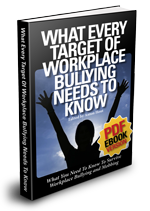 There is no question that workplace bullying can take a lot out of you. Even though being fired can result in a black mark on your employment record, it may be better for you in the long run to just accept it and move on. Putting your life back together in whatever way you can is far more important than waging a long, drawn out court battle to try and get some compensation, no matter how justified. In the end, whether you fight back or not all comes down to what you feel is best for you.